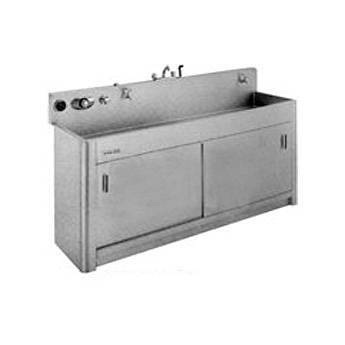 The Arkay Series S and SP Premium Processing Sinks are constructed from 18 gauge type 316L stainless steel, with a 100% seamless construction. The self-supporting sink stand also has that rounded and polished look of craftsmanship and quality. Interior Dimensions 24 x 60 x 6"
Outside Dimensions (WxL) 27 x 63"